At the show, BP will be present to highlight how its extensive network – made up both of BP, UK and European partner sites – is on hand to ensure quick and convenient refuelling for all types and size of fleet. In the UK, car and van fleets can access over 2,500 sites, or fleets can also tap into over 500 specially designed bunker sites. 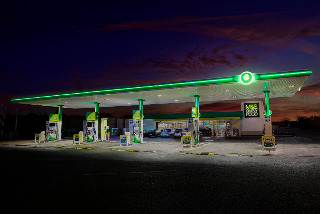 To give maximum fleet coverage, the BP Supercharge option offers 7,600 sites – the equivalent of nine out of 10 UK forecourts. Across the channel, BP is part of the ROUTEX network. This means fleet drivers can fill up at 18,000 sites in 29 countries, reducing dead mileage and reaching their destinations more quickly and cheaply. At the Fleet Show – which takes place on 11 May at Silverstone – visitors can explore the extent of the BP network with its interactive network map. Attendees can also explore some of the features included in BP’s private mileage capture solution launched earlier this year. Designed for simple use and to help fleets meet HMRC guidelines, it removes the problem of over-and under-reimbursement of business fuel costs, and can dramatically cut the admin time needed to submit and process claims. Live demonstrations will be running throughout the day at the Fleet Show, with experts available for demonstrations, questions and guidance. BP will also be showcasing how its BP PLUS Fuel Card customers can take advantage of an immediate and cost-effective solution of offsetting part or all of the fleet’s emissions. The solution has been set up in partnership with BP’s not-for-profit offset team, BP Target Neutral, and businesses can contribute to carbon mitigation projects throughout the world to offset their fleet’s CO2e impact. In order to demonstrate how easy this is, BP is giving visitors to the Fleet Show an opportunity to calculate and then offset their carbon footprint for travel to the event. Finally the BP stand will also include a range of popular sweet treats from BP’s Wild Bean Cafe network and will offer visitors the chance to win £500 in Amazon vouchers. All attendees need to do is visit the stand with their business card (or badge to scan) and they will be automatically entered into the prize draw.